Having already contributed to the most significant scientific discovery of the century, UNL researchers are undertaking greater leadership in the world’s grandest physics experiment with the revival of the Large Hadron Collider over Easter weekend. Following a two-year dormant period spent upgrading the Switzerland-based particle accelerator, physicists at the CERN laboratory will soon attempt to harness the accelerator’s full energy of 7 trillion electron volts per beam – nearly twice the level achieved before its 2013 shutdown. In 2012, the supercollider provided long-awaited evidence of the Higgs boson, a particle theorized to explain how other particles gained their mass. UNL physicists assisted these efforts as part of a worldwide collaboration that built the Compact Muon Solenoid, or CMS, one of two massive particle detectors that identified the Higgs boson. 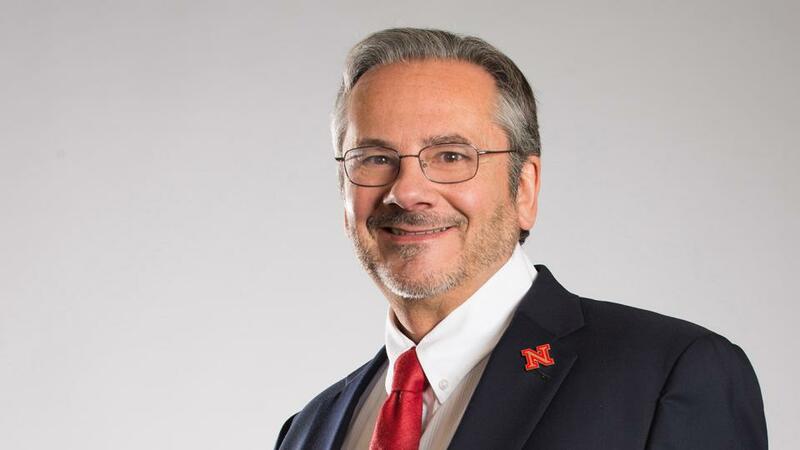 Aaron Dominguez and fellow UNL physicists are now leading an $11.5 million, eight-university effort to upgrade the CMS. By constructing new modules for the detector’s pixel sensor – essentially a state-of-the-science digital camera – the team will allow the detector to capture 40 million images per second at resolutions roughly 10 times those found in the best consumer-grade cameras. These enhancements will help physicists search for the existence of “sparticles,” which advocates of the supersymmetry framework have proposed as heavier counterparts to known particles such as the electron. Future supercollider experiments could also offer insights into dark matter, an invisible form that may consist of sparticles and is thought to generate gravitational forces that keep galaxies intact. UNL’s Holland Computing Center also represents one of seven U.S. “Tier-2” sites that give particle physicists access to the massive amounts of collision data collected at the supercollider. 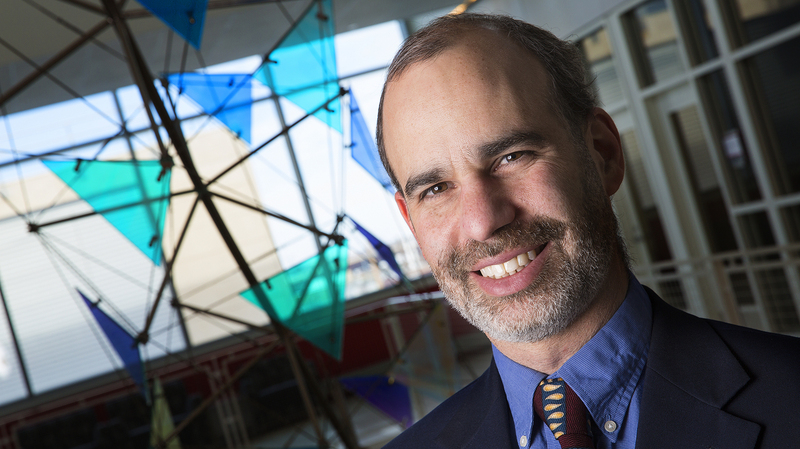 Physicist Ken Bloom, who has led the U.S. Tier-2 grid since 2005, was recently appointed manager of software and computing for the U.S. CMS operations program. The role entails the oversight of an $18 million annual budget that funds U.S. contributions to CMS software and computing infrastructure. 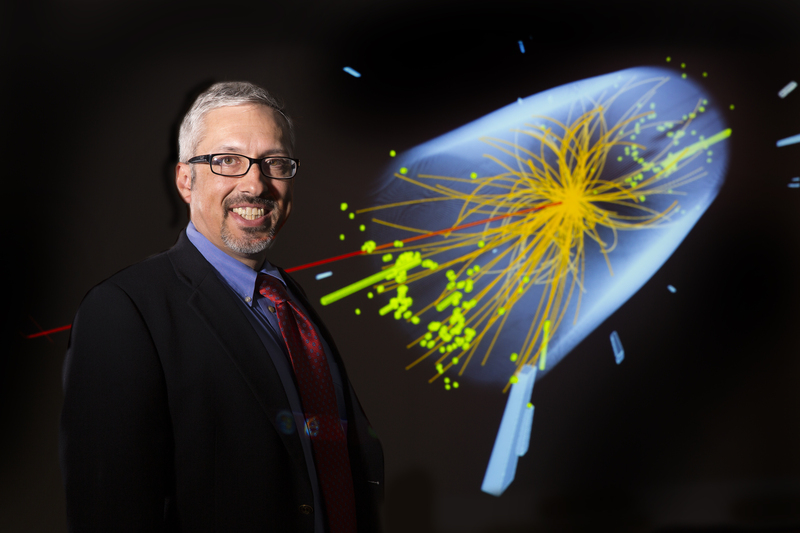 Dan Claes, professor and chair of physics and astronomy, will explain the significance of the Higgs boson and outline UNL’s role in its discovery during a 3:30 p.m. Nebraska Lecture on April 8. More information about the lecture can be found here.